While design trends may vary from year to year, there is one style that has continued to stand the test of time. From the Romans to Romanticism, designers and artists have always used nature as one of their biggest sources of inspiration. Whether it is because of our growing awareness of the danger our natural environment now faces, or because we have always been interested in the world around us, even now nature continues to play a huge part in design. Inspired by the English summer and celebrating the warm weather, Tom Faulkner has recently launched two new designs; the Berlin easy chair and the Lily cocktail tables. Whilst the Berlin chair is well known for being an innovative piece of British craftsmanship, and for having a clean, confident silhouette, it is the Lily cocktail table that has been truly inspired by nature. 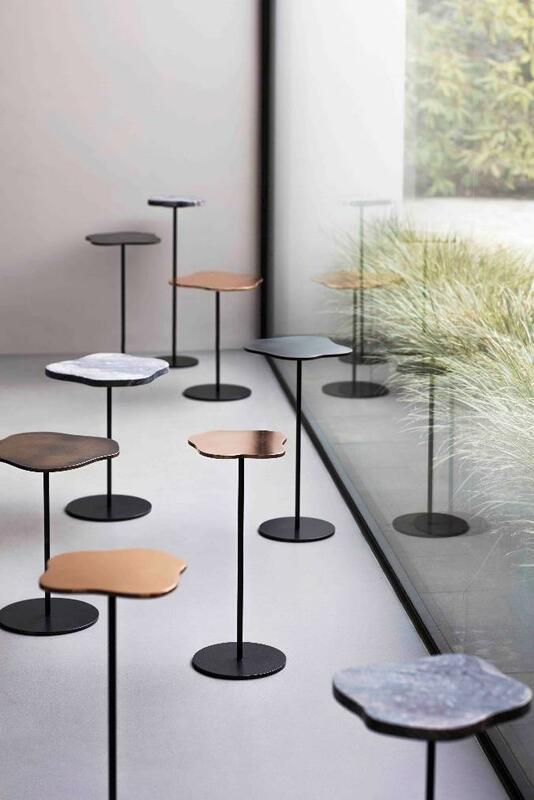 “Reminiscent of lily pads, the Lily cocktail tables offer the perfect marriage of playfulness and elegance,” a recent Tom Faulkner release states. 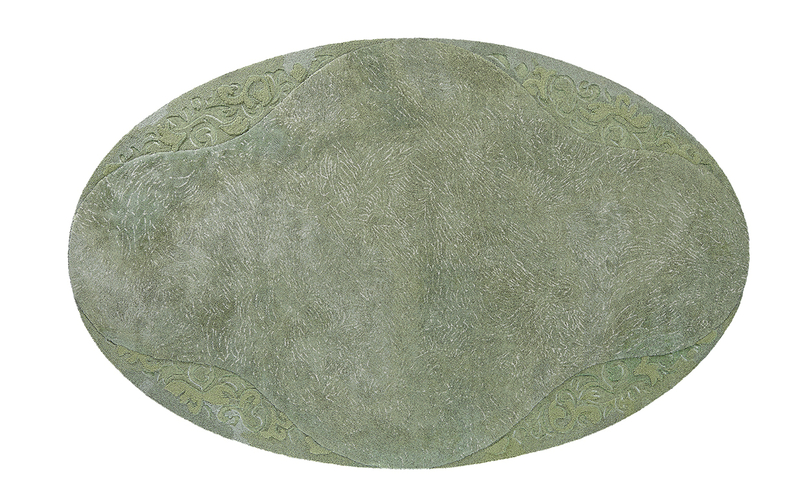 Available in a variety of materials, the Lily cocktail tables feature organically shaped tops, and look “gorgeous in a group, or stand-alone”; placed together, they almost look like real lily pads, floating on a lake. The Chedi Andermatt hotel’s signature style carefully balances nature with tradition, featuring elements of ‘Alpine chic’, taken from the hotel’s surroundings, and ‘Asian zen’, from the brand’s heritage. Designed by luxury hotel designer and architect Jean-Michel Gathy, the hotel was inspired by its natural environment and also uses natural elements throughout each space. Launched at the beginning of this year, luxury carpet specialists Tai Ping collaborated with international design practice AB Concept to create Naphale, a collection of couture carpets. Each carpet reflects a different element of nature; the carpet pictured, Syrinx, takes its inspiration from high grass in the wind. 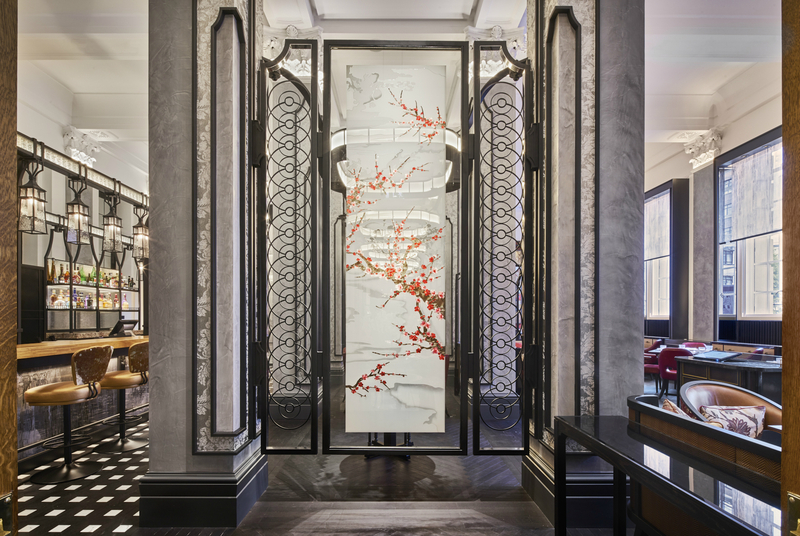 For the interiors of their Mayfair Park Residences, super prime property developer Clivedale London, chose to commission international design studio Jouin Manku. 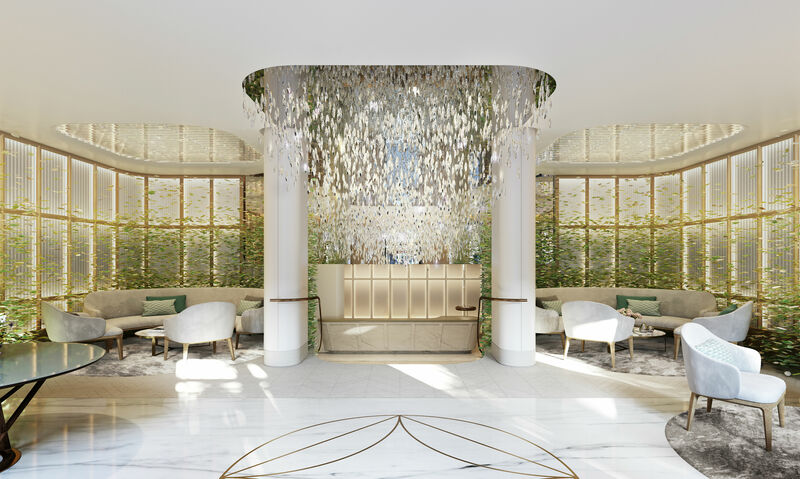 However, it was services of internationally renowned lighting specialists that created the statement, leaf inspired chandelier situated in the entrance of the development.